Dance on screen rarely captures even half the magic of seeing it live on stage. Which is why this adaptation by the Royal Ballet is so successful - it doesn’t even try. Instead the action takes place in a variety of locations, from the green fields of the Lake District to the inside of a giant doll’s house. 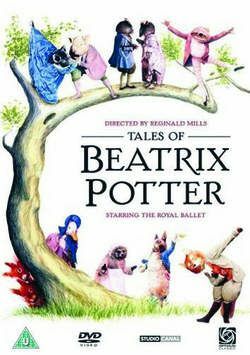 All of Beatrix Potter’s most famous faces strut their stuff - Peter Rabbit, Jemima Puddleduck, Mrs Tiggy-winkle et al. Constrained by their costumes, not all the dancers have a chance to shine. But Michael Coleman as Jeremy Fisher would put any real frog to shame with his leggy leaps. Filmed in 1971, the ballet has a traditional charm, which crosses the generational divide. With just enough naughtiness, in the form of food fights and plate-smashing mice, to spice up the odd moment of twee blandness.